This artwork hangs in my parents house and I’ve stared at it at great lengths on numerous occasions through my childhood. It is the story of Jaka Tarub. In the story the main character – Jaka Tarub – comes across seven angels bathing. He steals the shawl of one angel and while her sisters fly away, she is bound to the earth and the life of a mortal wife to Jaka Tarub. The story is the launching point for my latest choreography project. I am performing a solo as part of the Quadrant art exhibition exploring four states of human experience including mental, spiritual, emotional and physical. I am representing the physical with a solo dance on opening night, Friday 25 July, 7-10pm at The Grace Space, 274 St Kilda Road, St Kilda. I started with the idea of exploring how I have come to terms with my own changing physicality. I always took my youth for granted and assumed I would age gracefully. After two children, and approaching forty next year I must admit with some embarrassment that I look back on old photos and videos of my dancing with some nostalgia and regret that I no longer look twenty-five. 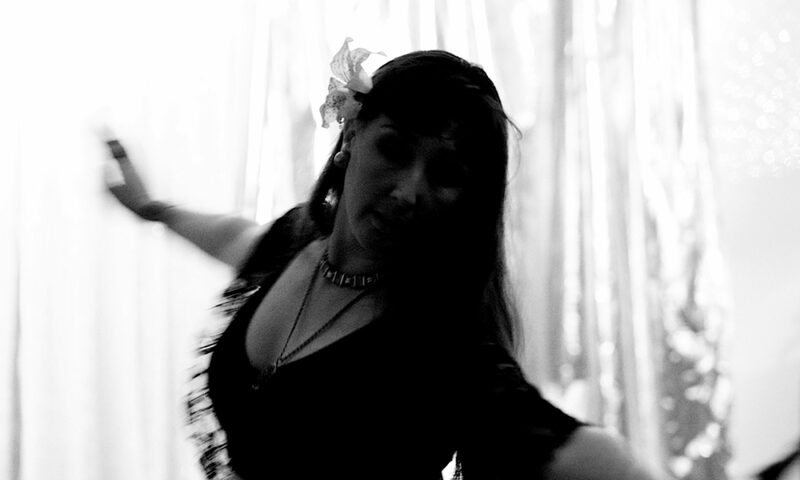 Although corporate dance gigs are not my bread and butter, I do the occasional belly dance gig with the Underbelly troupe and I am not immune to the pressure to look slim, young and exotic. I began developing the choreography with three songs. The first song is Indonesian Keroncong music. I chose it for its exotic and youthful flavour, but it also happens to be the sound of my ancestry and perhaps my youth? Maybe my mother was playing it when I was in utero or as a young child. The second song is a wistful ballad, “Diamond Heart” by Marissa Nadler. The opening lyrics are “So do you know I’m a dancer now?” I was drawn to the sadness of the tone of these words and the song as a whole, and the themes of aging, death and the general drudgery of life. The final song is by my friend Matt Stonehouse. I was drawn to this music as its rhythm and melody is powerful and yet flowing, with a Flamenco and Eastern flavour. Originally the trajectory of the solo was going to be beginning with a seductive, exotic dance, representing my youth and beauty. The second would be the death of youth and yet entrapment in the life of a dancer, despite no longer being an ideal representation of beauty and form. The final piece would be finding my power as a mother, bearer and nurturer of children. It’s true – I am still young and fit and have a lot to feel happy about, and forty isn’t old. However many of us are not immune to the pressures of cultural ideals of beauty. As a relatively new mother I am also still coming to terms with how my body can be the nexus of desire, reproduction and nurturing. How does that all inhabit one place? 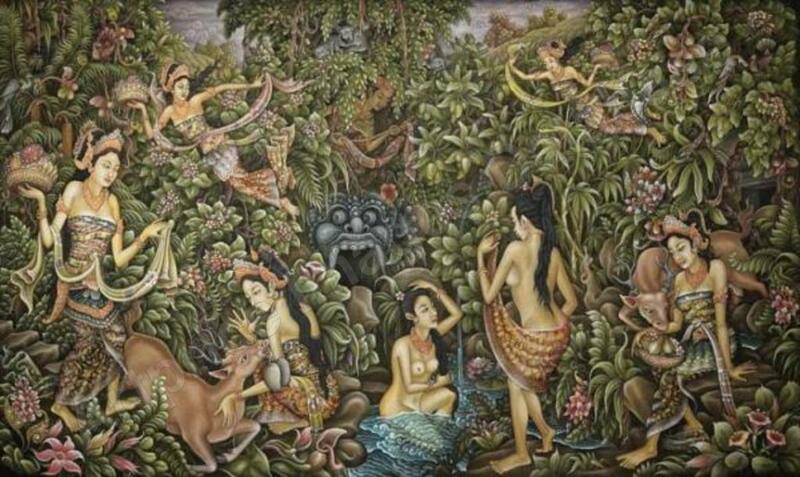 As the piece marinated in my brain, and I listened to the Keroncong music, the memory of that music stirred the memory of the Javanese artwork in my parents’ house and the story of Jaka Tarub. But my piece will be the story of Jaka Tarub’s wife Nawang Wulan. The first piece will be Nawang Wulan as the ethereal being – with her wings intact. The second piece, her wings have been taken from her and she is struggling to be bound to constraints of the mortal physical body. The third piece, she will discover the almost divine power of the physical – the strengths of muscle, the flow of qi and the ability to bear and nurture life.